Welcome to our practice blog. In these pages we will keep you updated on the latest research and innovations in oral and periodontal surgery. If you have any topics you would like to see, please let us know through our contact page. 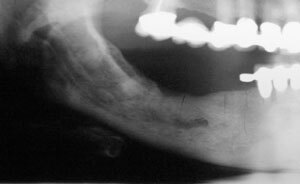 Biphosphonate related osteonecrosis of the jaw, (BRON), is a pathological condition that is defined as oral bone exposure for a period greater than 8 weeks, in a patient that has been on biphosphonate medication without a history of exposure to external beam radiation. Most affected patients present the condition after invasive procedures that involve dentoalveolar bone manipulation, although spontaneous exposure of bone has also been observed. The etiologic mechanism has been related to alter bone remodeling at the cellular osteoclastic physiologic action. More than 90 % of the reported cases to date have occurred with intravenous biphosphonate therapy for which the prevalence has been estimated in the range of 1% to 5% depending on the treatment duration. Early case series also identified approximately 5% of reported cases occurring in patients receiving oral nitrogen containing bisphophonate drugs, one of the primary therapies for the prevention of osteoporotic fractures. For patients taking oral biphosphonates, the two factors that significantly increase the risk of developing osteonecrosis of the jaws are, the duration of continuous oral biphosphonate therapy: treatment of 3 years or more is associated with progressively increased risk, and concomitant use of steroids, particularly prednisone. Periodontal disease and dental abscesses are the pathologies that most often have been found to trigger BRON because their inflammatory cytokines establish the need for bone renewal. Other invasive dental procedures include tooth removals, dental implant placements, periodontal surgery, apicoectomies and bone grafting procedures, all of which increase the demand of bone turnover/renewal as a result of direct bone trauma. In addition the presence of mandibular tori, particularly if they are multilobulated, represent an anatomic risk factor owing to the high rate of natural bone turnover for tori and their thin underlying mucosa. A means of assessing risk to develop BRON is a thorough clinical and radiographic examination. A good quality panoramic radiograph and periapical films, where indicated should be taken. Particular attention should be given to the molar region, which may exhibit early signs of biphosphonate toxicity to the bone, including generalized sclerosis in the alveolar bone and the lamina dura and/or widening of the periodontal ligament space. Generalized sclerosis, increase in bone mineral density. May be indicative of bisphosphonate toxicity. s/p placement of dental implants. Oro-astral fistula in a patient with surgically related BRON. Morning fasting C-terminal telopeptide (CTX), has been suggested as a bone turnover marker as an indirect reflection of osteoclastic activity to help asses risk, and guide the clinician’s evaluation of nonsurgical treatment response as well as to guide decisions as when surgery can be accomplished with the least risk. CTX prediction value for BRON. The clinician is left to interpret how to use CTX values in given clinical situations. Although BRON appear to be a potential complication with bisphosphonates , it should not preclude its use when clinically indicated. There is no justification for these patients to avoid non surgical dental care, on the contrary it is probably more important for patients on bisphophonates to receive routine dental care. We now have the Stem cells are unique because they drive the natural healing process throughout your life. 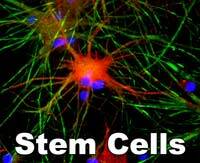 Stem cells are different from other cells in the body because they regenerate and produce specialized cell types. They heal and restore skin, bones, cartilage, muscles, nerves and other tissues when injured. The tooth is nature's "safe" for these valuable stem cells, and there is an abundance of these cells in baby teeth, wisdom teeth and permanent teeth. The stem cells contained within teeth are capable of replicating themselves and can be readily recovered at the time of a planned dental procedure. Aside from being the most convenient stem cells to access, dental stem cells have significant medical benefits in the development of new medical therapies. Using one's own stem cells for medical treatment means a much lower risk of rejection by the body and decreases the need for powerful drugs that weaken the immune system, both of which are negative but typical realities that come into play when tissues or cells from a donor are used to treat patients. Stem cells in the human body age over time and their regenerative abilities slow down later in life. The earlier in life that your family's stem cells are secured, the more valuable they will be when they are needed most. Affordable - when compared with other methods of acquiring and preserving life saving stem cells: Peripheral blood, Bone Marrow, Cord blood etc, recovering Stem Cells from teeth is the most affordable and least invasive. Why should someone recover and cryopreserve their own stem cells from teeth? Healthy dental pulp contains stem cells that are among the most powerful stem cells in the body and replicate at a faster rate and for a longer period of time than other types of stem cells. Stem cells from teeth show great promise for future regenerative medical treatments of neurodegenerative diseases, heart disease, diabetes, bone diseases and brain and nerve injuries. Which teeth are candidates for stem cell recovery and cryopreservation? Any extracted tooth with a healthy pulp contains stem cells. Wisdom teeth, baby teeth and other permanent teeth i.e. healthy teeth that are fractured and teeth recommended for extraction for orthodontic purposes are all candidates for stem cell recovery and cryopreservation. At what age am I no longer eligible to recover and preserve stem cells from teeth? Age does not seem to play a major factor. All extracted healthy teeth contain stem cells. The younger you are then the younger the cells and these may be more beneficial in future regenerative therapies. Is one tooth enough or should I try to bank as many teeth as I can as the opportunities arise. I banked deciduous teeth, should I bank third molars? Diseases of different severity or tissue defects of different size will undoubtedly require different amounts of stem cells to heal. Conceptually, the more teeth are banked, the greater the potential for sufficient stem cells to treat various diseases. 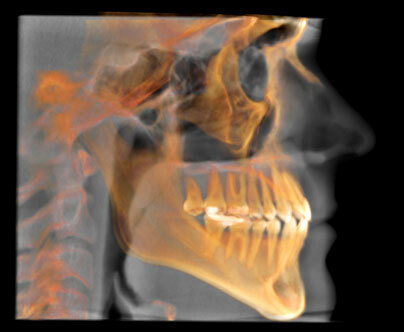 Skeletal anchorage, the concept of using the facial skeleton to control tooth movement has been reported in the literature since the early 1980’s. Various forms of skeletal anchorage, including mini-screws and mini-plates have been recommended. It should be self-evident that good diagnosis and treatment planning are vital in providing a favorable orthodontic outcome. Anchorage management is an integral part of that process. Anchorage, the resistance to unwanted tooth movement, determines the limits of desired tooth movement possible and accordingly the amount of correction possible. Traditionally anchorage strategies for maximum tooth movement were largely dependent on patient compliance. Intraoral and extraoral auxiliaries were used in addition to grouping multiple teeth and pitting them against few. Over the last two decades, there has been increasing interest in establishing absolute anchorage with implantable devices, which respond like ankylosed teeth. Temporary anchorage devices, (TAD), are intended to be removed at the conclusion of their active use. A TAD is a titanium-alloy mini-screw, ranging from 6 to 12 mm. in length and 1.2 to 2 mm. in diameter, that is fixed to bone temporarily to enhance orthodontic anchorage. Placement is minimally invasive anf often completed using only topical anesthesia. They can be usually inserted through the gingival tissue into bone with a srew driver. Stationary anchorage is achieved by gripping mechanically to cortical bone rather than by osseointegration. Stationary anchorage failure of TAD’s under orthodontic loading varies between 9 & 30 percent. TAD’s should be inserted into a region with high bone density and thin keratinized tissue. The location chosen should be the optimial one in terms of anatomic limitations and biomechanical considerations. Stationary anchorage failure often occurs because the TAD is placed in a region of low bone density with inadequate cortical thickness. Misch classified bone density into four groups, (D1,D2,D3,D4), based on the number of Hounsfield units used in computed tomography. Proper angle of insertion is important for cortical anchorage. In the posterior maxilla and the mandible, the angle of insertion should be 30 to 45 degrees to the occlusal plane. 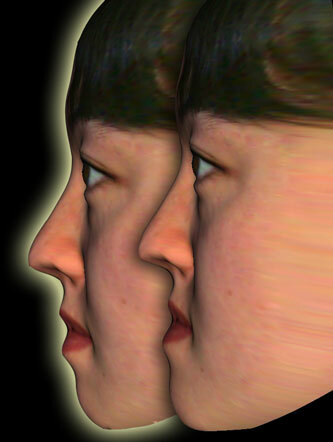 In the anterior maxilla should approximate 90 degrees. Entrusive forces in the molar region should be light and continuous to produce the appropriate pressure within the periodontal ligament and minimize the risk of root resorption. The recommended force for miniscrew-supported maxillary molar intrusion is 100 to 200 g. Group intrusion of the second premolar and the first and second molar requires greater force of approximately 200 to 400 grams per side. To prevent the intruding molar crown from tipping buccaly, the orthodontist can place a transpalatal arch with buccal root activation, or place an additional TAD in the palatal position. The rate of single molar intrusion is approximately 0.75 mm. per month. The case of group intrusion of the second premolar, first and second molars is approximately 0.5 mm. per month. The mini-screws have the advantage of being minimally invasive and can be used in a wide variety of locations, but have the disadvantage of having a higher failure rate than the modified bone plates or palatal devices. Modified bone plates require an incision and suture closure for both placement and removal. The expense of the materials is roughly 2-3 times that for a mini-screw. True molar intrusion can be achieved successfully with orthodontic TAD’s, re-establishing a functional posterior occlusion and reducing the need for orthognathic and prosthodontic treatment in selected cases. Dr. Nicolaievsky is an experienced oral surgeon who is a well-known and respected Oral and Maxillofacial Surgeon Implantologist in Mexico City for over 15 years. He attended the Universidad Tecnológica de México, where he earned his dental degree. He came to the United States, University of Miami/Jackson Memorial Medical Center, for his residencies and completed programs in both Dental Anesthesiology and Oral & Maxillofacial Surgery. 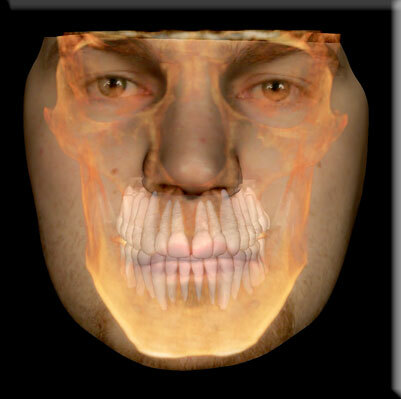 New technology in our practice allows our clinicians to visualize your x-rays in a new way. We now have the capability to visualize internal structures as never before. 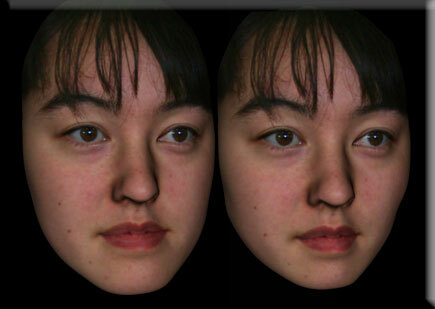 Our clinicians can now take accurate measurements and use 3D digital photography to predict the outcome of your surgery. Below are some examples of this technology at work!